Our USA made precision solar telescopes are the best way to observe the constantly changing and magnificent beauty of the sun. What could be more spell-binding than looking into that fiery hot ball of super heated gas at the center of our Solar System? Welcome to Lunt Solar Systems. We are the worlds leading provider of solar telescopes. Our proprietary Doppler Tuning is unmatched by any other manufacture for quality and viewing performance. 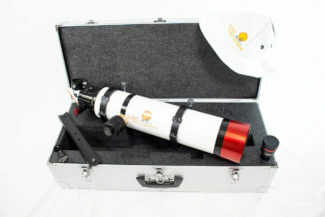 When you buy Lunt, you are buying the best available solar telescope in its class. Lunt products were used to by NASA to image the 2017 USA Eclipse from Carbondale. Lunt standard products have also been used in the past by NASA for the transit of Venus and Mercury, and by National Geographic for the Easter Island Eclipse. All of which were very successful live streaming events. Our products are ideally suited to imaging due to the ability get full disk images, rapid Doppler tuning, and ease of CCD adaptation to our systems. We dedicate ourselves to providing high quality products for the hobbyist and armature astronomer. All of our solar telescopes use a redundant system of filters for maximum safety. Whether you’re a newcomer to the world of astronomy or a keen observer of the skies, you can’t find a high quality solar telescope or telescope accessories. Lunt Solar Telescopes are built in the USA for those that desire to take in the full beauty of the sun. Give the best in solar astronomy with a Lunt Solar Systems Gift Card. Give the gift of the Sun with a Lunt Solar Systems Gift Card. You select the amount, and add your recipient. Gift Cards will be emailed to your recipient, or you can send it to yourself to print and give as a gift. The Lunt Solar Trade-Up program allows people the opportunity to trade their gently used Lunt Solar Telescope or Filter in for a coupon toward the purchase of a new Lunt Solar product. Want a solar telescope but don't want to spend all your cash or available credit? We have teamed up with Community Financial LLC to offer easy financing from $200 to $6000. You can use the money to get what you want or to add to the money you have to spend. Now you can get that better scope that you have your eye on. It couldn't be easier to own the best solar telescope on the market today. Click the link to the right to get qualified! You"ll be getting those spectacular views of the Sun in no time. Belt drive – Super smooth PE curve. Low backlash, silent slewing. The Star Adventurer Ball Head adapter provides a 3/8 threaded post to mount any ball of of choice to the Star Adventurer. The Ball Head adapter utilizes a stand V-style dovetail on the back for easy mounting to the Star Adventurer. Versatile design can be used for any type of observing – day or night! Includes two counterweights (4 and 7.5 lbs). Total weight including counterweights equals 35 lbs. 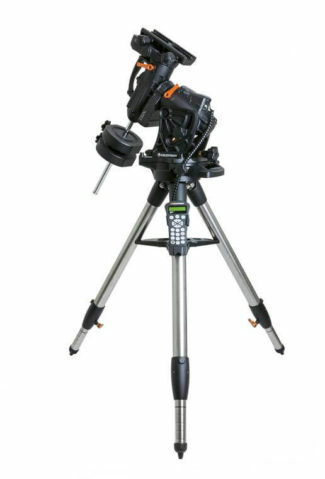 Provides stable support for spotting scopes, small telescopes and binoculars weighing up to 11 lbs. CAUTION: designed for solar observation use. Only use with solar telescopes or telescopes with a solar filter securely attached. CNC machined throughout. Measures 10″ long, 3-9/16″ wide. Built-in reticle pattern includes Big Dipper and a target-spot for Polaris – just place Polaris in the circle and you’re mount is all set for manual or motorized tracking! Allows wireless control of your Orion GoTo telescope with an iPhone, iPad, or Android device running the Orion StarSeek astronomy app! Nice 13mm eye relief provides a comfortable view – no squinting required! A great way to essentially double the number of telescope eyepieces in your collection, without having to buy twice as many eyepieces! Introducing the NEW 1.25" Feather Touch focuser. 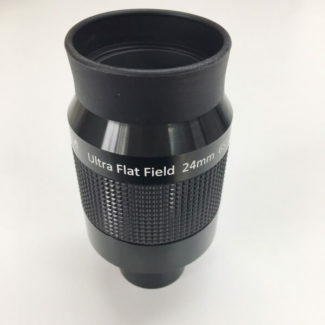 This focuser is an ideal upgrade to the LS50T and any other telescope product that currently uses a helical designed focuser. This focuser fits the exact envelope as the current helical design.This is an optional accessory to the LS50T and is available for separate purchase.This 1.25" Starlight Feather Touch Focuser's running parts are now hardened stainless steel on hardened stainless steel. This greatly improves the smoothness, wear characteristics and its robustness. It is still an absolute must for CCD imaging and astro-photography, in addition to making visual use a joy.Order Today! When you buy Lunt Solar Systems, you can be absolutely certain that you’re buying a 100% safety approved product. All our products are ISO safety approved and SUNsafe certified, which makes it easier to find everything you need to take in a safe view of solar activity. Looking to Register Your LUNT PRODUCT?